In light of the recent round of measures that imposes a harsh Seller’s Stamp Duty for a lengthy period of time (16%, 12%, 8% and 4% for years 1, 2, 3 and 4 respectively), the focus of property investors will now have to shift from the short term to the long term, and from capital gains to rental yield. With the help of the Analytics team at Propertyguru, I have put together a list of the 5 projects in Singapore with the highest gross rental yields. Getting this list involved going through Propertyguru’s entire database of listings. The methodology for the gross rental yield calculation was to take the average annualized asking rental per square foot for apartments in each project and dividing that by the asking sale price per square foot. Note that we do not include any other ancillary costs such as maintenance fees, so the net rental yields will be lower. Only projects with listings both for sale and rental were included in this exercise, and room rentals were excluded. 5. In fifth place is Sims Green, a 99-year leasehold development located at Lorong 27A in Geylang. At an average asking price of $577 psf and rental of $2.59 psf/month, you get a gross rental yield of 5.4%. Completed in 2004 and situated near Aljunied MRT station, the 108 units here enjoy condo facilities such as swimming pool, BBQ pits, gym and playground. 4. Next is Lilydale, yielding 5.6% with an average asking price of $564 psf and rental of $2.61 psf/month. A 99-year leasehold development located at Yishun Avenue 6, it is a few minutes’ drive to Yishun MRT Station and is also close to Seletar Country Club and Orchid Country Club. Completed in 2003, residents of the 318 units enjoy condo facilities such as a swimming pool, BBQ pits, gym, tennis court, multi-purpose hall, and playground. 3. In third place is Atrium Residences, a freehold development located at Lorong 28 in Geylang. Close to 10 minutes walk from Aljunied MRT station, this project has a gross yield of 5.6% with an average selling price of $674 psf and asking rental of $3.16 psf/month. It is a relatively new development (completed in 2009), comprises 142 units and has facilities such as a swimming pool, BBQ pits, gym, and clubhouse. 2. The second highest yielding project in the Propertyguru database is People’s Park Complex, which is yielding 5.7% with an average asking price of $812 psf and rental of $3.86 psf/month. It is an old 99-year leasehold development (completed in 1970) that is in a prime location just opposite Chinatown MRT Station. 1. And the highest yielding development is Wing Fong Mansions – at an asking price of $626 psf and monthly rental of $3.03 psf, it has a gross yield of 5.8%. A freehold development located at Lorong 14 in Geylang, it is minutes away from the upcoming Mountbatten MRT Station. 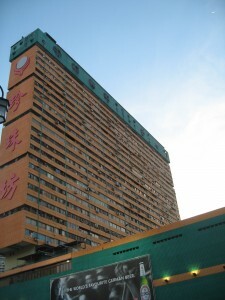 Completed in 1997, it comprises 218 units and has facilities such as a swimming pool. From my observation, the highest yielding projects tend to fall into the following categories: 1) Projects in further away (e.g. Yishun) or unpopular (e.g. 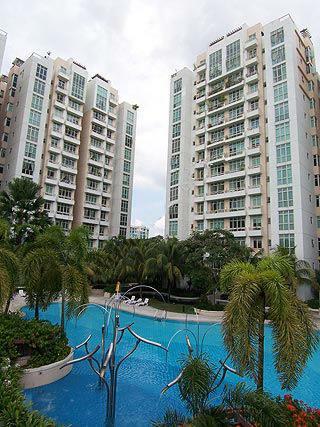 Geylang) areas that are located close to MRT stations and 2) Centrally located leasehold projects that are very old. The key to getting a high rental yield is a low per square foot price (you can see that all the projects in the top 5 have a psf of less than $1,000) combined with good “rentability” (close to MRT, centrally located, good facilities). If you’re focusing on rental yield (as opposed to just capital appreciation), prime projects in Orchard or Marina Bay are unlikely to be your ideal targets. do note that lilydale is an EC, so the asking price is much cheaper compared to a private condominium. however, eligibility to purchase is limited, so it may not be a fair comparison. Would you invest on Wing Fong Mansion,with high rental yield,but low capital gain,or those nearer city,with potential for higher capital gain? Are you more in the income generating stage of investing or the capital appreciation stage of investing? For example, those looking to retire soon may want to acquire a portfolio of high yield properties to generate income. For those just starting out I think it makes sense go for greater capital appreciation. Also for Geylang, with the planned future development of Paya Lebar in the Master Plan, it could potentially have attractive capital appreciation if the area becomes more gentrified. What are your thoughts with regards to finding properties with high capital appreciation potential? Will they be similar to what you summarized in this post? Hi Francis, in short, no. If you’re looking for high capital appreciation there will be different considerations. That’s a whole other article/book/course, but in short you’ll be looking at things like location, relative pricing, potential for development, yield etc. So high yield is important but only one of the factors. In fact the properties listed above have such a high yield precisely because they haven’t had much capital appreciation. Hi Thomas, yes you are, but you are using the yield on COST and not on MARKET VALUE. As HDB flats in the past used to be very affordable (at least versus current prices) and rentals have moved up, thus your yield on COST is so high (congratulations!). I would guess the current market value of your flat should be much higher. Also, yields on HDB units tend to be higher due to the generally lower prices versus private properties, whereas the article only covers private properties.